The Historium in Bruges is a historical experience attraction which takes you to the Golden Age in Medieval Bruges. BLISS (formerly: Sevenedge) produces all Historium’s graphic material, both online and offline. 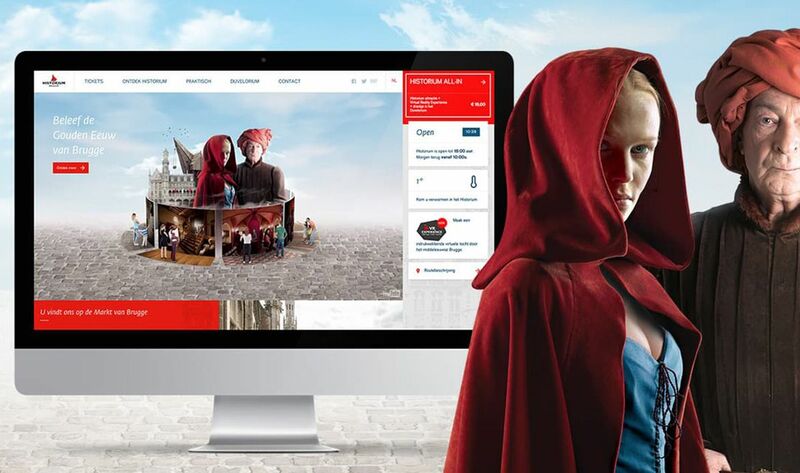 The new company website needed to link a contemporary, fresh look with commercial appeal and the historical character of the attraction. 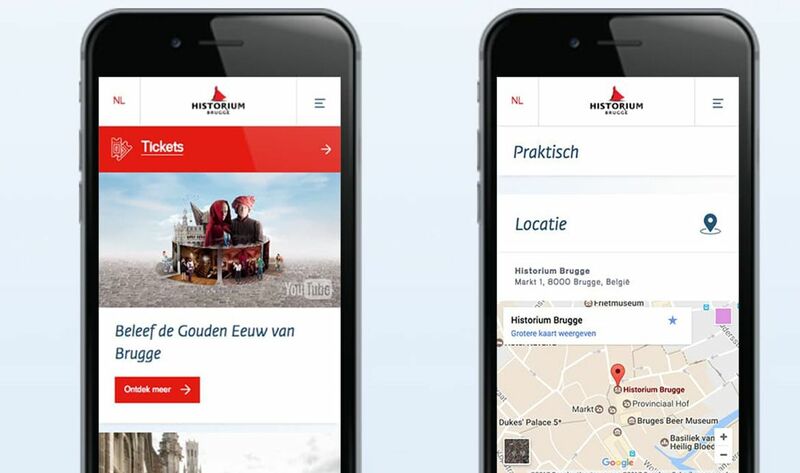 Data analysis and visitor statistics of the existing Historium website revealed a multi ethnic audience, which mainly visited the site using mobile devices. That is why we developed a website flow optimized for all screens. This way, we best met our client’s commercial demands. Our responsive design resulted in an adaptive website including a sidebar on high resolution screens. For devices equipped with lower resolution screens, the sidebar blends into the content flow. 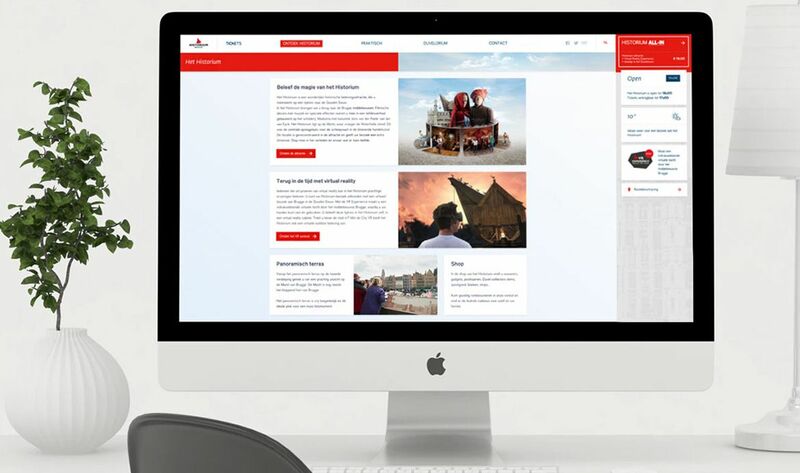 Our BLISS teams designed and developed the complete website, including all graphic elements.